I’m very excited to introduce the chorus of bloggers partaking in this year’s 12 Days of Blogmas collaboration. We’re all familiar with the song “12 Days of Christmas” and its 364 gifts, but instead of leaping lords and turtle doves, we’ll be giving you 364 great gaming and blogging gifts. Join us for the next 12 days as we sing you one final rendition of the holiday classic. Thanks to OverthinkerY, LightningEllen, The Gaming Diaries, Shoot the Rookie, and Later Levels for striking the harp and joining the chorus! What are twelve favorite gaming memories? Playing Star Wars Episode I: Jedi Power Battles with my dad. He would always plays as Qui-Gon Jinn and I would play as Obi-Wan Kenobi, and together we valiantly attempted to save the galaxy while Jedi-jumping over bad guys and large mushrooms alike. Learning that Metal Gear Solid on the original Playstation had actual voiced videos of Snake’s interrogation, and then avidly watching them to get more of Solid Snake. Oh, and also realizing that he blinked on the title screen!! Playing Zelda II: The Adventure of Link with my brother and sister. I was only about four, so I didn’t get to play too much, but I thought they were so , so talented to be able to play the game and figure out where to go. Playing Dragon Age: Origins for the first time. A truly indescribable experience; it was like meeting someone you just know is going to be a good friend. Playing two games through the night, to the point that I didn’t sleep before going to work: Mass Effect 3 and Metal Gear Solid 4: Guns of the Patriots. Both grabbed me and refused to be let go – I just had to know what came next. I was pretty tired the next day, but it was totally worth it. Then I’ll go to bed, I swear! Receiving a Nintendo 64 for Christmas one year, and being totally dazzled by the three-dimensional art styles, first with Mario 64 and then with The Legend of Zelda: Ocarina of Time. I had so much fun with that console, and I still remember bumbling through other games like Banjo-Kazooie and Star Fox 64, and even this other Star Wars game that I was so, so bad at, Shadows of the Empire. 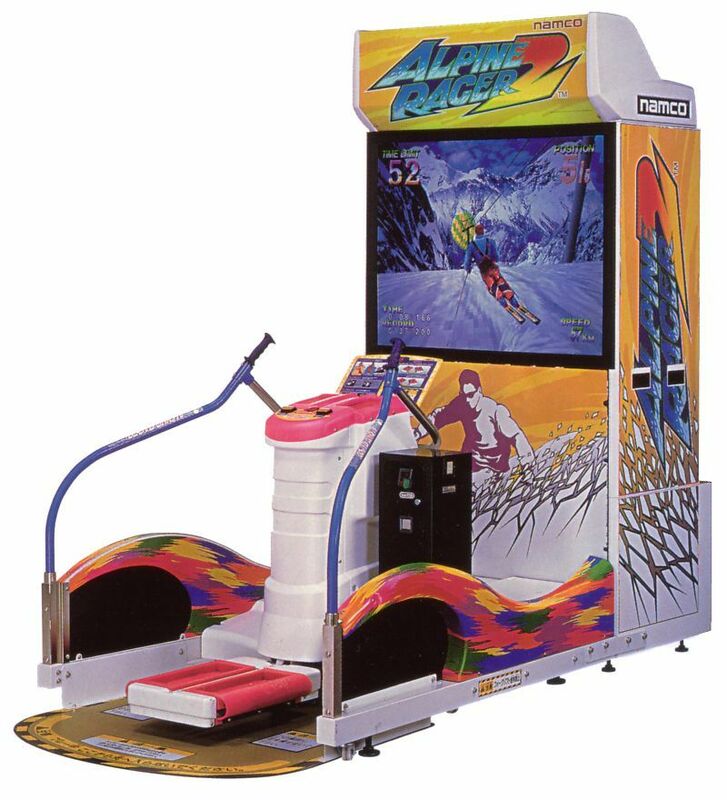 Going to an arcade the morning we were leaving our annual vacation spot, because I liked the music of this one skiing video game, Alpine Racer. My brother and I played through the game, which imitated the movements of skiing, over and over again until I could hum the melody without hearing the song itself. He notated it in the car ride home because I was about eight years old and hadn’t learned how to notate music yet. 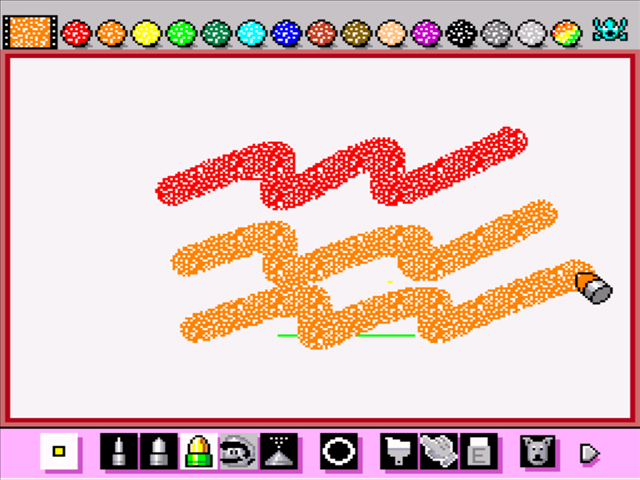 Playing around with Mario Paint on the Super Nintendo… I loved that game, and thought it was so cool that it had a mouse like a computer, complete with right and left buttons. My favorite part, besides the music notation bits that now are all over YouTube, was the art canvas. I would spend hours making pictures of this or that, and my dad hooked up a VHS camcorder to the old television so I could “save” the pictures and compositions on a VHS tape. As you can tell, my parents were always very supportive of us being creative individuals! It’s a bit sad, but one that I like nonetheless: I remember playing through Metal Gear Solid 2: Sons of Liberty through the night on New Year’s Eve one year, because my dad – who was the one who stayed up until midnight with me – had passed away the week prior. I spent New Year’s with Solid Snake and Raiden and everyone else, and it was better than being alone. Starting this blog. There, I said it. I had no plan, no idea what I was doing, but I went for it and it’s worked out so far! Playing through so many RPGs this year! I might not have met my goal, but I don’t think I’ve ever played so many games – let alone RPGs – in a single year! ….and another day to add more music on its way! What are some of your favorite gaming memories? Let me know in the comments! And come back tomorrow for day two!! Thanks for stopping by, and I’ll see you soon! Do you like what you’ve read? Become a revered Aegis of AmbiGaming and show your support for small creators and for video games as a serious, viable, and relevant medium! Thank you for coming up with this event! Also your blog is amazing (just like you). Aw, thanks! 😀 And thank YOU for being along for the Blogmas journey!!! I just picked up a mint copy of Metal Gear Solid for the PS1. 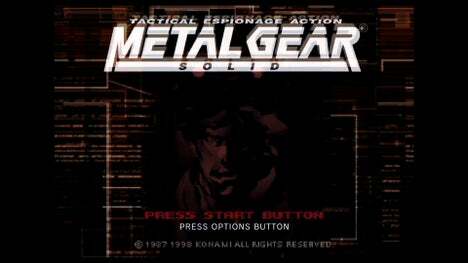 I’ll definitely have to watch for Snake blinking on the title screen when I play it, haha. Oh and you reminded me of Shadows of the Empire! I don’t remember much about that game, but I do remember having fun with it. *fangirl intensifies* Tell me the instant you start playing it!!!! Glad you’re enjoying the collab. Thanks for participating! Alpine Racer! I’m pretty sure that’s a game they had at my local arcade when I was young. I was (predictably) terrible and not very good on the “skis”. Great to know that someone else has a good memory associated with it. Woo!!! haha Yeah it was a good one, and I was pretty awful at it too (hence why my brother played it when I wanted to learn the song haha). But at least I learned to keep my feet on terra firma and not going out skiing in the winter… But yes, I’m so happy someone else knows and has good memories of this game, too!